When: Friday, April 17, 2015 from 4 p.m. to 7 p.m.
Why: Members have been working tirelessly to help defend everyone in the path of the California High-Speed Rail through the legal process since 2011. We would like you to support our continued efforts through this fundraiser and thank you in advance. How: CCHSRA are hosting a “Linguica and Bean Take-Out Dinner” on Friday, April 17, 2015 from 4 p.m. to 7 p.m. Linguica, Portuguese Beans, salad, roll and dessert will be served. Tickets are $25.00. Please make checks payable to: CCHSRA. Thank you in advance for your support. You may purchase tickets from members of CCHSRA. There will also be a limited number of tickets at the door. For more information, please contact Mary Jane Fagundes at (559) 707-7286. Want to Help This Citizens’ Group? Click orange icon to use a feedreader to get e-mails from CCHSRA announcing latest developments posted on this site. Enter your e-mail address to get e-mails from CCHSRA announcing latest developments posted on this site. 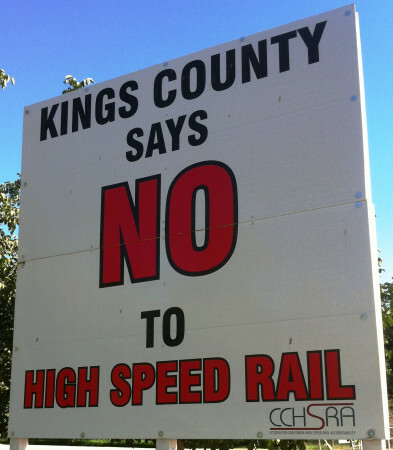 Citizens for California High Speed Rail Accountability (CCHSRA) Web Site by Citizens for California High Speed Rail Accountability (CCHSRA) is licensed under a Creative Commons Attribution 4.0 International License. Based on a work at http://cchsra.org/. Permissions beyond the scope of this license may be available at http://cchsra.org/. You have permission to use the text and photos from this web site on your web sites, in your student reports, even for commercial purposes, as long as you attribute the source.